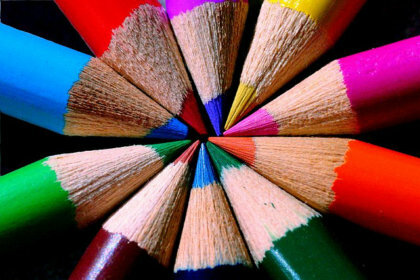 There are two ways in which humans can perceive and reproduce colour. The additive and subtractive methods of creating colour utilise different aspects of the visible electromagnetic spectrum to create different hues. There are fundamental differences between additive and subtractive colour, and they must be understood separately. If you need to hire a printer, you’ll know exactly what you’re talking about in terms of colour printing after reading this helpful description of an often confusing topic. 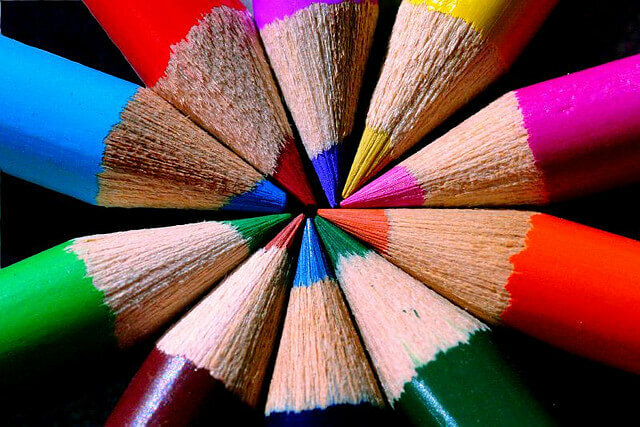 Additive colour creates hues and tones across the spectrum by mixing two or more colours of light. Red, green, and blue (RGB) are the primary additive colours with yellow, magenta, and cyan (CMY) created by the mixture of these coloured lights together. Green and blue produce cyan, red and blue magenta, and red and green create yellow.This is unlike the traditional colour wheel of red, yellow, and blue as was used in oil painting and the like, where blue and yellow create green and red with green would make brown. Computer and television screens are the most common examples of additive colour use, with each pixel composed by red, green, and blue sub-pixels that combine to create every colour, including white. Subtractive colour, on the other hand, deals with combining pigments or dyes in print or with paint. The name subtractive colour comes from the way that our eyes perceive light waves. The colour of every surface depends on which wavelengths of the electromagnetic spectrum are not absorbed by the object. After the object draws out certain frequencies of light, those that remain make a visible colour to our eye. While the science of additive and subtractive colours can seem a little complex, the process to hire a printer with DocX couldn’t be simpler! Give us a call today and we’ll set you up with a printer lease in no time. We have devoted ourselves to quality work and trusted service and merchandise for over 12 solid years.